Mumbai, January 23, 2019 – The 2030 Water Resources Group (2030 WRG), together with the Maharashtra Water Resources Regulatory Authority (MWRRA) and the Bombay Chamber of Commerce and Industry, launched a blockchain hackathon on January 18 to crowdsource solutions from coders all over the world to improve water resources management in the Indian State of Maharashtra. Software developers, students, technology companies, and startups with innovative ideas about water resources management are encouraged to register online at https://wrc-hackathon.org. 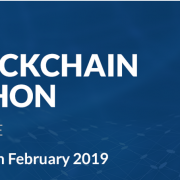 The hackathon will end at 12:00 am (IST) on February 19, 2019. Until then, participating coders will be able to submit their blockchain algorithms for the Wastewater Reuse Certificates initiative, an innovative economic instrument concept that was jointly launched by 2030 WRG and MWRRA to support circular economy solutions in agriculture, industrial, and urban water use. Throughout the entire duration of the hackathon, participants will have access to mentoring and informative webinars to support their efforts. On February 26, 2019, winning teams in the first, second, and third places will showcase their products and receive their awards at a summit that will be attended by thought leaders from the public and private sectors and civil society. In addition to receiving awards from a prize pool of Rs. 175,000, winners will also get mentorship and support from the hackathon co-sponsors, including the opportunity to scale and implement their applications. 2030 WRG is a public, private, civil society partnership hosted by the World Bank Group. The partnership supports country-level collaboration designed to unite diverse groups with a common interest in the sustainable management of water resources. 2030 WRG supports the Maharashtra Multi-Stakeholder Partnership in Water and Livelihood Security for Rain-fed Agricultural Areas; Command Area Water Productivity (CAWP); and Wastewater Reuse and Management. See website: www.2030wrg.org. The MWRRA is an independent statutory regulatory authority established by the Government of Maharashtra to reform the water sector in the State of Maharashtra. It is responsible for the regulation, allocation, management, and utilization of scarce water resources in Maharashtra. See website: www.mwrra.org. The Bombay Chamber of Commerce, which was established in 1836, is one of the oldest Chambers of Commerce in India. In the last decades it has played a significant role in supporting the development of industries in Mumbai by serving as a vehicle of communication between regulatory bodies, the private sector, and civil society organizations. It also advocates for changes that can help their micro, small, and medium enterprise members achieve their business goals. See website: www.bombaychamber.com. The 2030 Water Resources Group (2030 WRG) is a public, private, civil society partnership hosted by the World Bank Group. The partnership supports country-level collaboration designed to unite diverse groups with a common interest in the sustainable management of water resources. Our global partners include bilateral agencies and governments (Swiss Development Cooperation, Swedish Development Cooperation, the governments of Hungary and Israel), private companies (Nestlé, PepsiCo, Coca-Cola, Dow Chemical, Ab InBev), development banks (IFC, World Bank, African Development Bank, Inter-American Development Bank), INGOs and IGPs (UNDP, GGGI, GWP, the World Economic Forum, BRAC and IUCN). The 2030 WRG was launched in 2008 at the World Economic Forum and has been hosted by The World Bank Group since 2012.